The books in My “Morning Cup Devotionals” series feature anecdotes from the simple to the sublime. As I share my convictions, faith, and the Scriptures, these stories from my “real life” are sure to deepen your walk with God and invigorate your soul. I worked on this book for about five years…but it had been working on me for a life time. I feel so blessed to have my “cup of learning” from God refilled on a daily basis. I’ve heard from many that this book has helped them better learn to apply the Scriptures to their own life situations. I hope you will be enriched as we share a morning cup together. From the back cover: In the mornings, Jeanie Shaw pours herself a cup of coffee and settles in to read God’s word. In these special times with God, he fills her spiritual cup with his truth and guidance. Although she is careful not to pour her coffee to overflowing, God is not as “careful.” She finds that her cup from God overflows on a daily basis. Hence, the title, My Morning Cup. 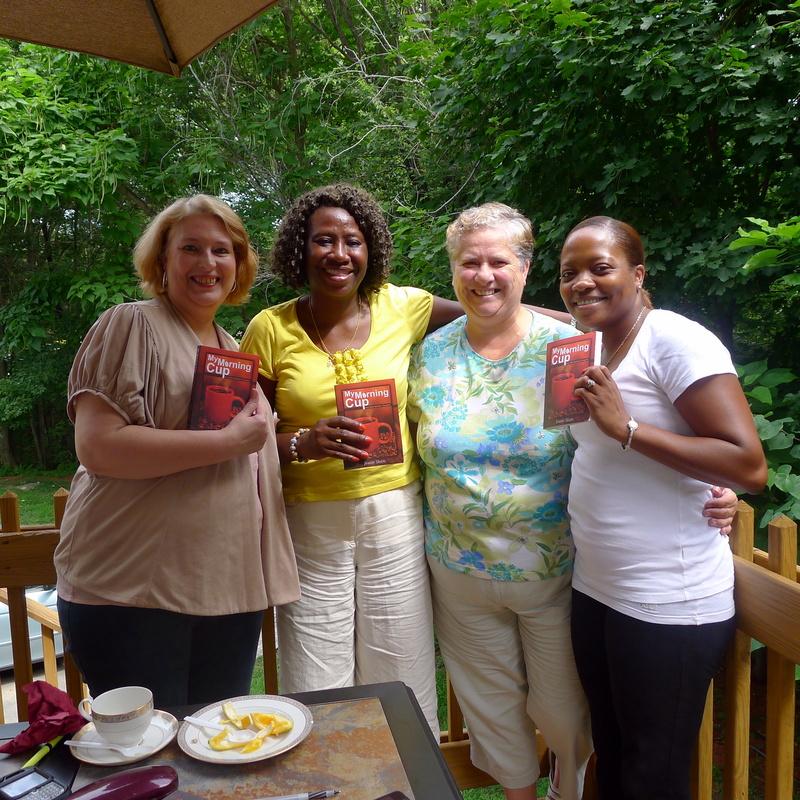 As Jeanie shares experiences from her life that are amazing, scary, or amusing, you will find yourself saying, “I can’t believe all this has happened to her!” This is a Christian book, so all the stories are true. But more important than the stories themselves is the spiritual “cup of learning” that Jeanie draws from them all…and shares with us in this fourth volume of the Wisdom for Life series of women’s devotional books. 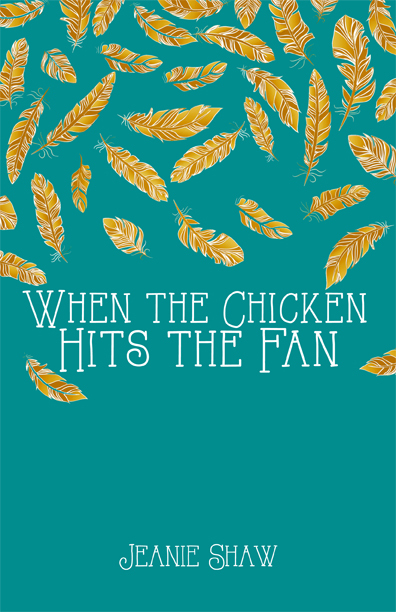 When There’s a Knife in Your Back; When the Toddler Falls Out; When You Get Sprayed With Gasoline; When the Person Beside You Sets Himself on Fire; When There’s a Deer in Your Bathtub; When Your House is on Fire,…. You may order directly from me at: shaw.jeanie@gmail.com or from Amazon.com. Turkeys started showing up in force in my neighborhood this past year. After some unlikely encounters with them, I began thinking about the ways we are often surprised, perplexed, discouraged, or encouraged by encounters with “life issues” that we don’t expect. 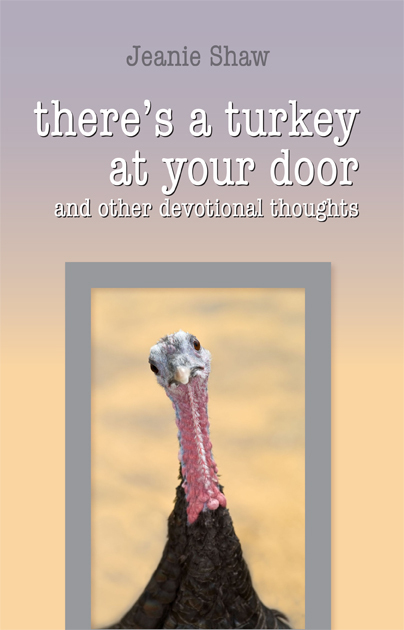 From this thought, “There’s a Turkey at Your Door and other devotional thoughts” was born. In a series of short chapters that feature anecdotes ranging from the humorous to the heartwarming, There’s a Turkey at Your Door takes you on a journey to explore the Bible’s many applications to daily life. As Jeanie invites you into her life and into God’s word, you’ll laugh out loud, shed a few tears, and discover lasting spiritual insights. So come on in, the door’s wide open. 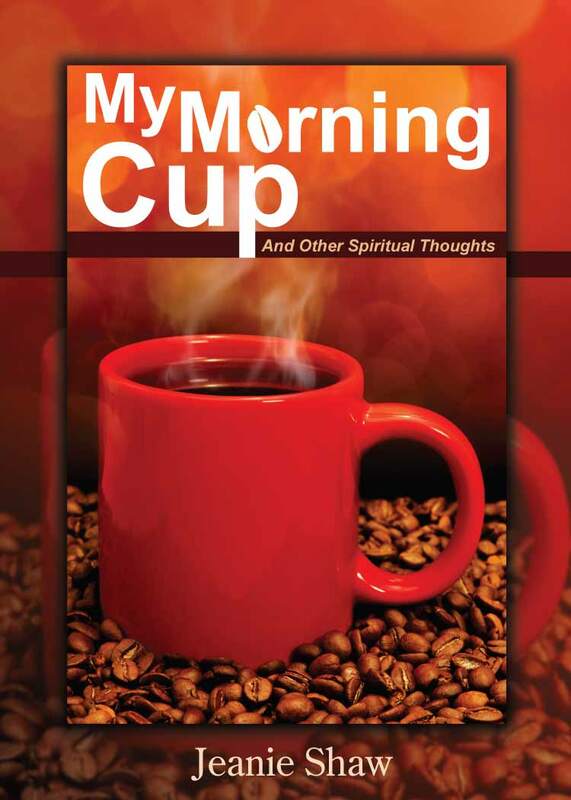 The newest member of the “Morning Cup Devotionals” series. Funny. Touching. Honest. Inspiring. Hopeful. In Every Day Is a New Chance, Jeanie invites you into her life and heart as she shares her life’s conundrums, difficulties, and treasures. You will feel as if you are sitting with an old friend as you discover ways to take the best chances with your own life situations. The fourth in her “Morning Cup Devotionals” series, Every Day Is a New Chance infuses Scripture into life’s ordinary moments-transforming them to the extraordinary. “We had a blast. First of all, none of us can believe the things that happen to you. You remind me of the old movie “pure luck” with Martin Sheen and Danny Glover!